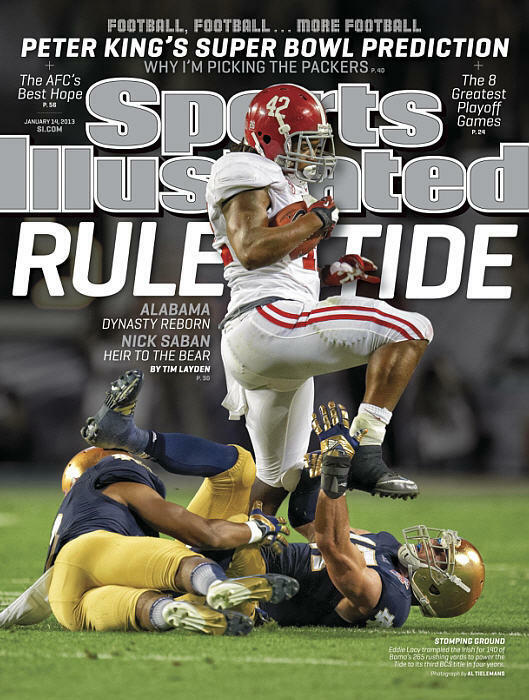 Your newest SI Cover… Rule Tide. Feels like a lame play on words. The photo, however, tells the story. Bama stomped Notre Dame… no way around it. This entry was posted in College Football and tagged alabama, notre dame stomped si cover, roll tide, rule tide, SI bama cover. Bookmark the permalink.